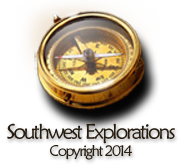 After leaving Camp 7 at Canyon Peak, Sitgreaves’ party continued northwest toward the distant summit of San Francisco Mountain, following the south bank of the Little Colorado River. Several days later they camped near a dramatic waterfall in the previously placid stream. This fall was created about 150,000 years ago when a lava flow from nearby Merriam Crater dammed and filled the original river canyon. 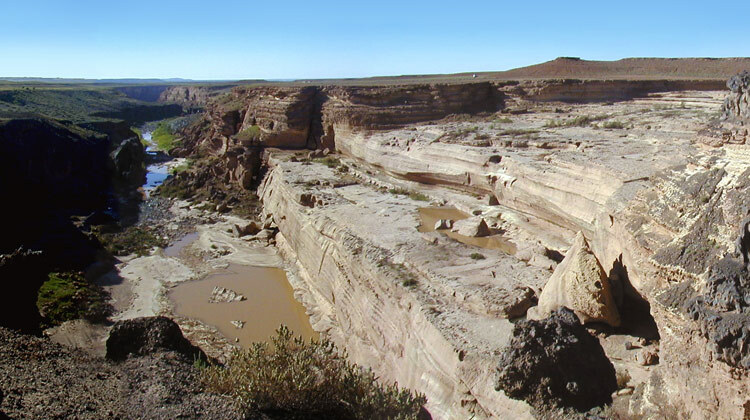 Eventually the river water found a new channel around the end of the dam and dropped back into its old canyon on the other side. The Little Colorado from this point on flowed in a steep canyon so when the march resumed the following day Sitgreaves turned more to the west, hoping to find water in the vicinity of San Francisco Mountain, which was now about 30 miles southwest of their camp. 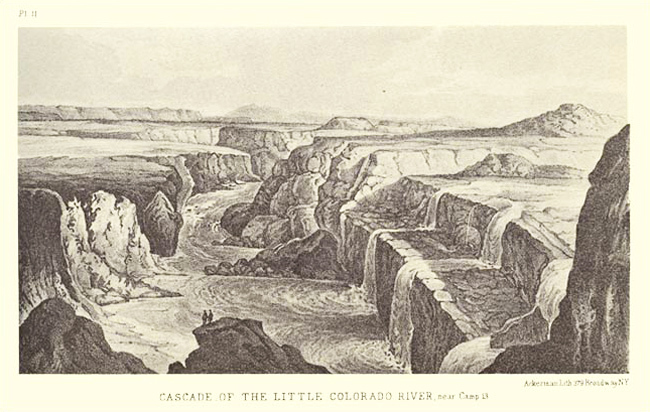 “Cascade of the Little Colorado River” from Sitgreaves report. 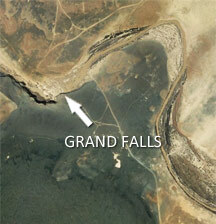 Grand Falls, Arizona, The total drop of this fall is about the same as Niagara Falls. A small white dot – a pickup truck- on the far bank right of center gives a sense of scale. Tom Jonas photo, 2001. 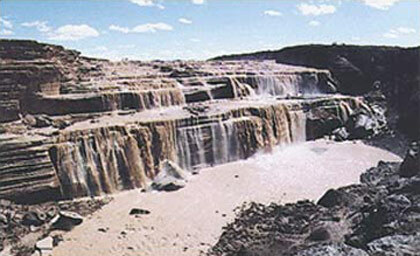 “October 8 , Camp No, 14.— About a mile below the last camp the river falls over a succession of horizontal ledges of sandstone, forming a beautiful cascade of one hundred to one hundred and twenty feet in vertical height, and continues on its course through a canyon of that depth, the ground level of the banks remaining the same.